Wrexham ( ; Welsh: Wrecsam; [ˈwrɛksam]) is the largest town in the north of Wales and an administrative, commercial, retail and educational centre. 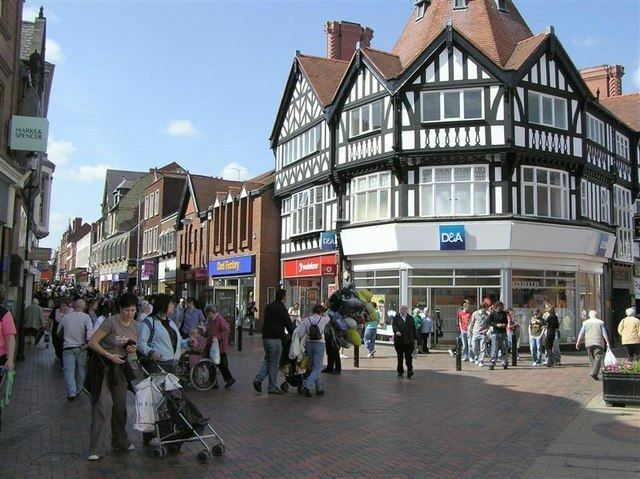 Wrexham is situated between the Welsh mountains and the lower Dee Valley alongside the border with England. Historically part of Denbighshire, the town became part of Clwyd in the year 1974 and since 1996 has been the centre of the Wrexham County Borough. At the 2011 Census, Wrexham had a population of 61,603, the fourth largest urban area in Wales. Human activity in the Wrexham area dates back to the Mesolithic period (8000 to 4300 BC). By the early Middle Bronze Age the area had developed into a centre for an innovative metalworking industry. A Roman civilian settlement was located in the Plas Coch area of Wrexham and excavations have revealed evidence of agriculture and trade with the wider Roman world. By the end of the 6th century AD, the area was being contested between the Celtic-speaking inhabitants and the English-speaking invaders advancing from the east. The Anglo-Saxons went on to dominate north-east Wales from the 8th to 10th centuries and the settlement of Wrexham was likely founded by Mercian colonists on the flat ground above the meadows of the River Gwenfro during the 8th century. The origins of the name "Wrexham" may possibly be traced back to this period. Renewed Welsh and Viking attacks led to a reduction in Anglo-Saxon power in north Wales from the early 10th century. Following the Welsh reconquest of the area during the 11th century, Wrexham formed part of the native Welsh lordship of Maelor. During the 12th century the lordship was disputed between the Welsh and the English. The first recorded reference to the town in 1161 is to a Norman motte and bailey castle at "Wristlesham" which was likely founded in the Erddig area around 1150 by Hugh de Avranches, earl of Chester. However, by the early 13th century Wrexham was undisputedly in the hands of the Welsh house of Powys Fadog. Stability under the princes of Powys enabled Wrexham to develop as a trading town and administrative centre of one of the two commotes making up the Lordship. In 1202 Madoc ap Gruffydd Maelor, Lord of Dinas Brân, granted some of his demesne lands in ‘Wrechcessham’ to his newly founded Cistercian abbey of Valle Crucis and in 1220 the earliest reference to a church in Wrexham is made. Following the loss of Welsh independence on the death of Llywelyn ap Gruffudd in 1282, Wrexham became part of the semi-independent Marcher lordship of Bromfield and Yale. Wrexham increased in importance throughout the Middle Ages as the lordship's administrative centre, and the town's position made it a suitable centre for the exchange of the produce of the Dee valley and Denbighshire uplands, whilst iron and lead were also mined locally. From 1327 onwards, the town is referred to as a villa mercatoria (market town) and by 1391 Wrexham was wealthy enough for a bard, jester, juggler, dancer and goldsmith to earn their living there. The traditional pattern of Welsh life remained undisturbed, and until the close of the Middle Ages the pattern was for English incomers to be rapidly assimilated into Wrexham's Welsh society, for instance adopting Welsh patronymics. At the beginning of the 15th century, the local gentry and peasants backed the rebellion led by Owain Glyndŵr which proved economically disastrous for the town. Local poet Glyn Guto'r Glyn (c. 1412 – c. 1493) wrote of Sion ap Madog, the great-nephew of Owain Glyndŵr, as Alecsander i Wrecsam (an Alexander for Wrexham). In the mid 15th century, the parish church was gutted by fire. The main part of the current church was built in the late 15th and early 16th centuries. The Acts of Union passed during the reign of Henry VIII brought the lordship into the full system of English administration and law. It became part of the new shire of Denbighshire in 1536. The economic character remained predominantly agricultural into the 17th century but there were workshops of weavers, smiths, nailers as well as dye houses. A grammar school was established in 1603 by Alderman Valentine Broughton of Chester. During the English Civil War, Wrexham was on the side of the Royalists, as most Welsh gentry supported the King, but local landowner Sir Thomas Myddelton, owner of Chirk Castle, supported Parliament. The 1620 Norden's jury of survey of Wrexham Regis stated that four-fifths of the land-holding classes of Wrexham bore Welsh names and every field except one within the manor bore a Welsh or semi-Welsh name. The Industrial Revolution began in Wrexham in 1762 when the entrepreneur John Wilkinson (1728–1808), known as "Iron Mad Wilkinson", opened Bersham Ironworks. Wilkinson's steam engines enabled a peak of production at Minera Lead Mines on the outskirts of Wrexham. From the late 18th century numerous large-scale industrialised collieries operated in the southern section of the North East Wales coalfield, alongside hundreds of more traditional small-scale pits belonging to a mining tradition dating back to the Middle Ages. Wrexham was also known for its leather industry; by the 18th century there were a number of skinners and tanners in the town. 18th century literary visitors included Samuel Johnson, who described Wrexham as "a busy, extensive and well-built town", and Daniel Defoe who noted the role of Wrexham as a "great market for Welch flannel". The artist J. M. W. Turner also visited the town and painted a watercolour of a street scene entitled "Wrexham, Denbighshire" dated 1792–3. By 1851, the population of Wrexham was 6,714; within thirty years this had increased to 10,978 as the town became increasingly industrialised. Wrexham benefited from good underground water supplies which were essential to the brewing of beer: by the mid 19th century, there were 19 breweries in and around the town. Wrexham Lager brewery was established in 1882 in Central Road and became the first brewery in the United Kingdom to produce lager beer. Rev. 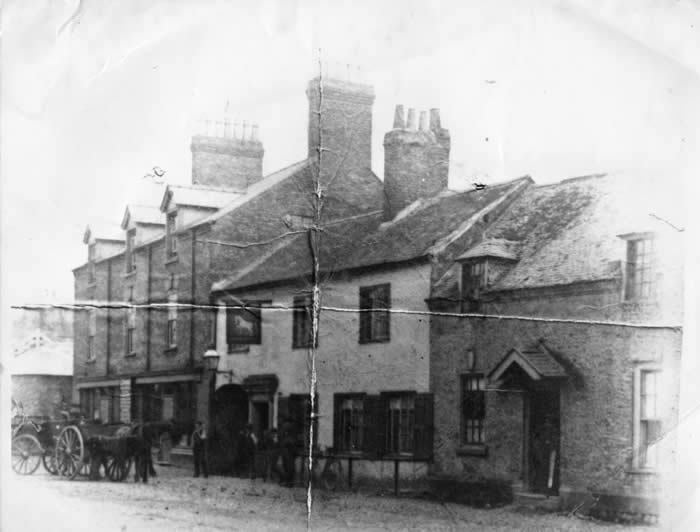 William Bingley described Wrexham in 1839 as "of such size and consequence as to have occasionally obtained the appellation of the metropolis of North Wales". Wrexham gained its first newspaper in 1848. The Market Hall was built in 1848, and in 1863 a volunteer fire brigade was founded. In addition to brewing, tanning became one of Wrexham's main industries. In the mid 19th century Wrexham was granted borough status. A permanent military presence was established in the town with the completion of Hightown Barracks in 1877. The Poyser Street drill hall was completed in 1902. By 1913, the North East Wales coal field was producing up to three million tonnes a year and employed over ten thousand people, dominating the economic and cultural life of the area. However the industry went into decline after the First World War, and of the seven large-scale collieries operating in the Wrexham area in 1946, only two functional collieries remained by 1968. The last pit to close in the Borough was Bersham Colliery in 1986. One of the worst mining disasters in British history occurred at Gresford Colliery in 1934 when underground explosions and a subsequent fire cost the lives of 266 men. The leatherworks in Pentrefelin and Tuttle Street, the many coal mines in the area, the brickworks in Abenbury, Brymbo Steelworks and the breweries all closed in the latter half of the 20th century. Wrexham suffered from the same problems as much of industrialised Britain and saw little investment in the 1970s. In the 1980s and 1990s, the Welsh Development Agency (WDA) funded a major dual carriageway (the A483) bypassing Wrexham town centre and connecting it with nearby Chester and with England's trunk road network. New shopping areas have been created within the town at Henblas Square, Island Green and Eagles Meadow and the Wrexham Industrial Estate, previously used in the Second World War, has become home to many manufacturing businesses. Wrexham's former police station on Regent Street, originally the barracks for the Royal Denbighshire Militia, is now home to Wrexham County Borough Museum. The museum has two galleries devoted to the history of the town and its surrounding communities. The museum also holds the archive of the Royal Welch Fusiliers; battalions were stationed in Wrexham during the First World War. The collection is notable for containing original documents in the handwriting of Siegfried Sassoon, Robert Graves, J. C. Dunn and other notable members of the RWF, as well as official records. Wrexham County Borough Council is made up of 52 Councillors, with one then appointed to serve as Mayor for a year. The Wrexham constituency elects members to the UK Parliament and the National Assembly for Wales. The constituency includes both the town and some of its outlying villages such as Gwersyllt, Llay, Marford, Rossett and Holt. The UK Parliament constituency of Wrexham is considered a safe seat for the Labour Party. Wrexham is divided into the communities of Acton, Rhosddu, Offa and Caia Park. Wrexham Maelor Hospital (Welsh: Ysbyty Maelor Wrecsam) is the region's major acute district hospital, with over 900 beds, and is the largest of the three core hospitals in North Wales. Other NHS hospitals within the borough are Chirk Community and Penley Polish Hospital. Yale Hospital (Welsh: Ysbyty Iâl), situated close to the Maelor Hospital on Wrexham Technology Park, is Wrexham's largest private hospital with over 25 beds. Formerly BUPA Yale Hospital, it is now owned and operated by Spire Healthcare. Wrexham is served by North Wales Police; their Eastern Division HQ is in the centre of the town, due to close in 2017 to be replaced by a smaller town centre station and new large HQ building in Llay. The region's main fire station is situated on Croesnewydd Road, and is part of £15m new combined Ambulance Service station. Other local fire stations are located in the nearby towns of Chirk and Llangollen. Wrexham has applied for city status three times since the turn of the 21st century, in competitions to mark the new Millennium, and for both the Queen's Golden and Diamond Jubilees. In March 2012, it was announced that Wrexham had again missed out on city status as the community of St Asaph, which was previously a city, was granted city status. Wrexham is not built on a major river, but on a relatively flat plateau between the lower Dee Valley and easternmost mountains of North Wales. This position enabled it to grow as a market town, as a crossroads between England and Wales, and later as an industrial hub – due to its rich natural reserves of iron ore and coal. But three small rivers flow through parts of the town: the Clywedog, Gwenfro and Alyn. Wrexham is also famed for the quality of its underground water reserves, which gave rise to its previous dominance as a major brewing centre. Originally a market town with surrounding urban villages, Wrexham has now coalesced with a number of urban villages and forms North Wales' largest conurbation, including its western and south western suburban villages. The conurbation including Wrexham, Rhosllanerchrugog, Coedpoeth and Llay built-up areas totals over 100,000 residents. The Office for National Statistics defines a Wrexham Built-Up Area (Pop. 65,592 in 2011) making it the 134th largest built up area in the UK, and the 4th largest in Wales. Wrexham is approximately 13 miles (21 km) south of Chester, 30 miles (50 km) north-west of Shrewsbury, 50 miles (80 km) south-west of Manchester, and 140 miles (230 km) north of Cardiff. Wrexham's economy has moved away from heavy industry to high tech manufacturing, bio-technology, finance and professional services. The town also has the largest retail sector in North Wales. In 2007, the town was ranked fifth in the UK for business start-up success, higher than most larger UK towns and cities. There are several shopping streets. A cluster of retail parks is situated around the inner ring road. Plas Coch and Berse retail parks are on the outskirts close to the A483. Central and Island Green retail parks are in the town centre. The newest development is at Eagle's Meadow. The development is connected to Yorke Street and High Street by a bridge. There are two traditional covered markets (Butter, Butchers) plus an open-air market. Wrexham's Peoples Market has closed with a £5m conversion to a new 'arts hub'. Wrexham has a Shopmobility service which is free. Much of the Wrexham town centre is pedestrianised. Wrexham held the National Eisteddfod of Wales in 2011. Wales Comic Con - The largest fan convention in Wales that brings actors, artists, writers and sports personalities to the town each year to meet thousands of fans who attend from around the globe. Racecourse Ground – home of Wrexham F.C. it is the world's oldest international stadium that still continues to host international games. Historic town centre buildings (Horse & Jockey pub – Hope Street, the Golden Lion – High Street, the Wynstay Arms Hotel – High Street & the Old Swan – Abbott Street). Techniquest Glyndŵr – Science discovery centre. Wrexham County Museum – Museum showcasing local history. Saith Seren ("Seven Stars") – The Welsh centre provides a bilingual environment with locally sourced food, a bar, live entertainment, meeting rooms and community facilities. Indoor Markets – Wrexham has always been known as a market town, and continues this tradition with two architecturally significant Victorian indoor markets (Butchers and General). Wrexham is home to a number of departments of the Depository Trust & Clearing Corporation including the subsidiaries AVOX and Clarinet, which collates and analyses company information for investment banks and financial organisations. In early 2016, DTCC employed over 500 people at their Redwither Tower offices. The expansion is due in part to the re-location of jobs from DTCC's United States of America offices to Wrexham. Moneypenny is the UK's largest outsourced switchboard and personal assistant service. The company currently employs 500 people on Wrexham Technology Park and following expansion to the USA and New Zealand are currently building a new global headquarters at the Western Gateway site in the town to accommodate over 1000 employees; it is due to open in early 2016. Wrexham Industrial Estate is home to a number of bio-pharmaceutical companies. Wockhardt, Ipsen and Cytec Industries have major sites which provide research and development and manufacturing capabilities. Wrexham's close location to both aerospace (Airbus are located in nearby Broughton) and automotive manufacturers has led to a number of organisations being in the town. JCB have a transmissions and drive train site on Wrexham Industrial Estate. ACT and Magellan Aerospace have sites. Large food manufacturing sites include Kelloggs, Cadbury, Calypso and Village Bakery. Electronics companies Sharp and Brother have manufacturing facilities located along the A483. One of Wrexham's traditional industries is brewing. Whilst only employing a small number of people, Wrexham is now home to five breweries, located on Wrexham Industrial Estate and in the town centre. Big Hand, Erddig, Sandstone, Axiom, Wrexham Lager and Wrexham Lager Beer breweries have all come to prominence in the last few years. The central area of Wrexham has also seen a number of purpose-built residential developments as well as conversions of older buildings to residential use. Outside the town centre new estates are being developed in several areas, including over 500 homes at the former Brymbo Steelworks site, a ribbon of development on Mold Road leading out of the town (which includes four development companies) and Ruthin Road (Wrexham Western Gateway). There are further plans. These include the development of National Trust (NT) land at Erddig for over 250 homes. This latter proposal generated many protests, particularly from residents of nearby Rhostyllen. A motion at the NT's 2008 AGM to block the development gained much support, but was overturned by proxy votes cast by the chairman. In January 2015, it was estimated more than 2,000 Portuguese migrants live and work in the town. The community is mainly centred in the district of Hightown, and the community hold an annual carnival through the town centre. A Polish community exists in the town with a number of Polish supermarkets and restaurants in the town centre. According to the 2011 census, the average percentage of Welsh speakers (aged 3+) in the electoral divisions that make up the town of Wrexham was 11.01% compared to the Wales average of 19.0%. The average percentage of Welsh speakers for Wrexham County Borough Council was 12.9%, the highest proportion being in the rural Dyffryn Ceiriog division (31.2%) and the lowest in the urban Wynnstay division (7.7%). The town is referenced in the late-Jacobean Beaumont and Fletcher play, ‘The pilgrim’ (1647), in which the stock Welshman declares that “Pendragon was a shentleman, marg you, Sir, and the organs at Rixum were made by relevations”. Wrexham hosted the National Eisteddfod in 1888, 1912, 1933 and 1977, as well as an unofficial National Eisteddfod event in 1876. The National Eisteddfod returned to the area in 2011, when Wales' leading festival was held on the land of Lower Berse Farm between 30 July and 6 August. Wrexham has a number of theatres, including the Grove Park Theatre on Vicarage Hill, the Riverside Studio Theatre at Wrexham Musical Theatre Society on Salop Road, and the Yale Studio theatre close to Llwyn Isaf. The main visual arts centre, Oriel Wrexham, has recently moved to Chester Street; it holds exhibitions and events, with others at Glyndŵr University in Plas Coch and at Yale College. There is a multi-screen Odeon cinema in the Eagles Meadow development. Live music venues have developed around the core of the town including Central Station, The Old Swan, Penny Black and The Commercial. Further out of the centre The Centenary Club, the William Aston Hall and The Student Guild at Glyndŵr University also provide live music shows. The scene is dominated by local bands and the town has become known for the rock, indie and alternative genres. Some international artists perform in the larger venues of Central Station or the William Aston Hall. Central Station is a club with a capacity of approximately 650, attracting touring bands. Since its opening in 2000 the venue has played host to several internationally famous acts. The William Aston Hall at Glyndŵr University is a 900-seat venue which has recently undergone extensive refurbishment, and is now designed to accommodate a range of events from conferences and exhibitions to theatrical performances and pop/rock concerts. Acts who have performed there include Super Furry Animals, Feeder, Love, Ray Davies, Freddie Starr and Sweet. Wrexham's local newspapers include two daily titles, North Wales Daily Post and The Leader (formerly Wrexham Evening Leader), and the free weekly tabloid Wrexham Leader, often known as the "Big Leader". Two radio stations are broadcasting to the town – Communicorp station Heart FM covers the area, and community radio station Calon FM serve the county borough from studios revamped in 2015 at Glyndŵr University on Mold Road. Whilst BBC Cymru Wales runs a studio and newsroom for their radio, television and online services located at Glyndŵr University but does not base their broadcasting there. An online news website covering the Wrexham area, Wrexham.com, operates from offices in Regent Street in the town centre. Wrexham has three parks, Bellevue Park, Acton Park and Erddig Park, as well as a green area within the town centre called Llwyn Isaf. Bellevue Park was built alongside the old cemetery on Ruabon Road. The park was designed to commemorate the jubilee year of the incorporation of Wrexham. It became neglected during the 1970s and many of the amenities were in a poor state of repair. A major project was undertaken to restore the park to its original state. The park reopened in June 2000. Acton Park was originally the landscaped grounds of Acton Hall. It was laid out in 1785 by James Wyatt on the instructions of the owner Sir Foster Cunliffe. Llwyn Isaf, situated alongside Wrexham Guildhall, is a popular green area within the town centre. The green was originally the landscaped grounds of a mansion house known as Llwyn Isaf. It now lies at the centre of Wrexham's civic centre just off Queens Square. The Welsh Children in Need concert was held here in 2005. Erddig Park is two miles (3 km) south of the town centre where the town meets the Clywedog Valley. The park is owned and managed by the National Trust, and is home to Erddig Hall and its formal gardens. The town has a professional football team, Wrexham F.C.. Their home ground is the Racecourse Ground. Wrexham was the site of the headquarters of the Football Association of Wales from its formation in 1876 until relocation to Cardiff in 1991. Until the end of 2016 the Racecourse stadium was home to the North Wales Crusaders who currently play in League 1 - the third division of the sport in Britain. In 2011 North Wales were created following the folding of the European Super League club Crusaders Rugby League. As of 2017, the club is based at the town's Queensway Stadium. The Racecourse Ground has in the past also served as the secondary home of the Llanelli Scarlets, one of the four Welsh professional rugby union sides that compete in the Magners-sponsored Celtic League. The Wales rugby union team have also played there on occasion. Wrexham is also home to rugby union team Wrexham RFC, a team affiliated to the Welsh Rugby Union. In 1931 nine northern Welsh clubs met at Wrexham to form the North Wales Rugby Union, Wrexham RFC were one of the founders. Rhos Rugby Club, one of Wrexham RFC's main rivals are also based just outside the town in the village of Rhosllanerchrugog. Rhos now have grown to match Wrexham's quality, making the rivalry even more intense than in previous years. Athletics – Queensway International Athletics stadium in Caia Park is Wrexham's second stadium after the Racecourse and has hosted the Welsh Open Athletics event in recent years. The stadium is also home to North Wales' largest athletics club, Wrexham Amateur Athletics Club. From 2017 it is home to rugby league side North Wales Crusaders. Basketball – Wrexham Raiders Basketball Club play at Glyndwr's Plas Coch sports arena. Hockey – Plas Coch is home to the North Wales Regional Hockey Stadium, home of Wrexham Glyndwr HC, with seating for 200 spectators and floodlighting. Leisure centres – Wrexham has 7 leisure centres: Chirk, Clywedog, Darland, Gwyn Evans(Gwersyllt), Plas Madoc, Queensway and Waterworld, which offer activities including swimming, aerobics, climbing walls and yoga. Netball - Wrexham Warriors play at Glyndwr's Plas Coch sports arena. Roller Derby Wrexham has one of the newest Roller Derby leagues in the UK. The Wrexham Rejects train at Glyndwr University Sports Centre each week and teach newcomers how to skate and learn the sport of Roller Derby. Tennis – Wrexham is home to the North Wales Regional Tennis Centre, which plays host to a number of international competitions each year including the Challenger Series. The centre is a pay and play facility and is open 7 days a week to all members of the public. The centre is also home to the WLTA (Wrexham Lawn Tennis Association). Golf – Wrexham has 4 golf courses: Moss Valley Golf Club, Plassey Golf Club, Wrexham Golf Club and Clays Farm Golf Club. Model Car Racing Wrexham has an RC Model Car Club established in the early 1980s, the club started off at an outdoor venue off Hosely Lane in Marford. WMCC now can be now found at Coedpoeth Community Council, on Park Road racing various classes of electric cars on Friday nights. St. Giles is the Parish Church of Wrexham and is considered to be the greatest medieval church in Wales. It includes a colourful ceiling of flying musical angels, two early eagle lecterns, a window by the artist Edward Burne-Jones and the Royal Welch Fusiliers chapel. In the graveyard is the tomb of Elihu Yale who was the benefactor of Yale University in New Haven, Connecticut, United States and after whom Yale College Wrexham is named. As a tribute to Yale and his resting place, a scaled-down replica of the church tower, known as Wrexham Tower was constructed at Yale University. The tower appears in an 18th century rhyme, as one of the Seven Wonders of Wales. Recently, a first edition (1611) of the King James Bible (also known as the Authorized Version) was discovered in a cabinet by the Rector of the church. (Only about 200 copies of the original KJV are known to exist.) As far as he knows, the Bible has been in the church since it was first published. The Roman Catholic Cathedral of Our Lady of Sorrows in Regent Street is the main church of the Diocese of Wrexham, which extends over all of North Wales. Built in 1857 at the height of the Gothic Revival, the cathedral was home to the Bishop of Menevia from 1898 until 1987, whose diocese covered all of Wales. However, in 1987 the Roman Catholic province of Wales was reconstructed, since which time the cathedral has been home to the Bishop of Wrexham. The cathedral is also home to the relic of Saint Richard Gwyn, Wrexham's patron saint. He was a Roman Catholic martyr in the 16th century and was hanged, drawn and quartered at Wrexham's Beast Market. He was canonised by Pope Paul VI in 1970. The current Dean of the Cathedral is Canon Fr. Simon Treloar. Wrexham has a number of non-conformist chapels and churches around the town, including a corps of The Salvation Army. The main Methodist church is Wrexham Methodist church, built in 1971 on the site of the former Brynyfynnon Chapel on Regent Street. There is a mosque on Grosvenor Road in the former Wrexham Miners' Institute. 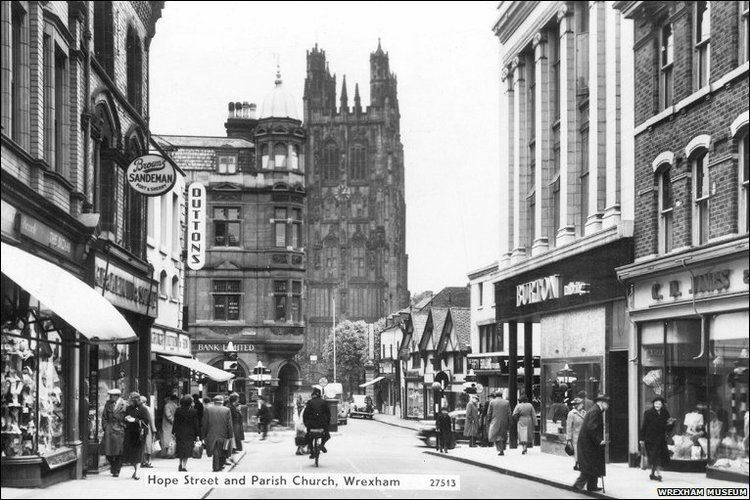 Wrexham had a church with a spire dedicated to and named after St. Mark in St. Mark's Road but it was demolished in 1960 after being declared unsafe and in danger of collapse due to inadequate foundations. A multi-storey car park named St. Mark's was erected on the site. Named after the 14th century scholar and last Welsh Prince of Wales, Owain Glyndŵr, Glyndŵr University was formed when the North East Wales Institute (NEWI) was granted full university status in 2008. It consists of Plas Coch campus in the western part of the town and the North Wales School of Art and Design located on Regent Street. The institution was founded in 1887 as the Wrexham School of Science and Art. Glyndŵr remains an accredited institution of the University of Wales and offers both undergraduate and postgraduate degrees. Glyndŵr has approximately 8,000 full-time students and over 350 from outside the UK, although not all on the Wrexham campus. Yale College / Coleg Iâl is the main provider of adult education in Wrexham and is one of the largest colleges in Wales. As a tertiary college it also provides a wide range of higher education courses at its two campuses at Grove Park in the town centre and Bersham Road in south west Wrexham. It is named after Elihu Yale, best known for being the prime benefactor of Yale University. It was founded in 1950 as a state school on a site at Crispin Lane. In 1973, as part of the conversion of local schools to the comprehensive system, it was renamed as Yale Sixth Form College and the pupils re-located to other schools. The Crispin Lane site was incorporated into NEWI (now Glyndŵr University) after the development of the Grove Park Campus. In 1998 Yale College took up residence in two sites across Wrexham: the faculty of engineering and construction at a site on Bersham Road, and a multi purpose site in a redeveloped Grove Park campus. Over the next fifteen years the college grew. In 2013 Yale College was merged with Deeside College, Northope College, and Llysfasi College to form a new college: Coleg Cambria under the leadership of the ex-Deeside Principal Mr David Jones. The merger officially took place on 1 August 2013. Wrexham has a number of primary and secondary schools. It has just one Welsh-speaking secondary school, Ysgol Morgan Llwyd. Recently, three of the largest secondary schools, St David's School, Ysgol Bryn Offa and The Groves High School were merged to create two larger "super schools", Rhosnesni High School, and Ysgol Clywedog. Other large secondary schools Darland High School and Ysgol Bryn Alyn, were both built in 1958. Wrexham has become home to the first shared-faith school in Wales, St Joseph's. There are seven Welsh medium primary schools in Wrexham County Borough, two of which are located in Wrexham town (Ysgol Bodhyfryd CP and Ysgol Plas Coch CP). Ysgol Morgan Llwyd serves as the single Welsh medium secondary school for the county and is located in Wrexham. The town of Wrexham is twinned with the German district of Märkischer Kreis and the Polish town of Racibórz. The first twinning was established on 17 March 1970 between the former Kreis Iserlohn and Wrexham Rural District. Its early success ensured that, after local government reorganisation in both countries in the mid-seventies, the twinning was taken over by the new Councils of Märkischer Kreis and Wrexham Maelor Borough Council and, in 1996, by Wrexham County Borough Council. In 2001 Märkischer Kreis entered a twinning arrangement with Racibórz (Ratibor), a county in Poland, which was formerly part of Silesia, Germany. In September 2002, a delegation from Racibórz visited Wrexham and began initial discussions about possible co-operation which led, eventually, to the signing of Articles of Twinning between Wrexham and Racibórz in March 2004. The Wrexham area has strong historical links with Poland. Following World War II, many service personnel from the Free Polish armed forces who had been injured received treatment at Penley Polish Hospital. Many of their descendants remain in the area to this day. A 2,100 capacity Category C male prison, costing £212m, is being built on the former Firestone Site on the Wrexham Industrial Estate. Construction began in 2015 with the floor slabs and metal frames being erected in June. The prison is due to open in March 2017, and was named in February 2016 as HM Prison Berwyn. Wrexham has four railway stations, Wrexham General, Wrexham Central, Gwersyllt and Ruabon. Until the early 1980s what is now platform 4 of Wrexham General, serving the Wrexham Central – Bidston service, was a separate station, Wrexham Exchange. Wrexham General was opened in 1846, rebuilt in 1912 and again in 1997. It has six platforms (four through, two terminal). Wrexham General is on two different lines, The Shrewsbury to Chester Line and the Borderlands Line run by Arriva Trains Wales. It is also on an extension of the West Coast Main Line towards London via Crewe, Welsh Marches Line services towards both Cardiff and Manchester travel via Wrexham on a regular basis. Wrexham General was also the base for the train operating company Wrexham & Shropshire (the operating name of the Wrexham, Shropshire and Marylebone Railway Company). The company provided passenger train services from Wrexham via Shropshire to London Marylebone on an open-access basis. Services started in 2008 with an agreement for a seven-year period. Wrexham & Shropshire began running services on 28 April 2008. Having decided they could not make the business profitable, the company ended services on 28 January 2011. All services that operate from Wrexham Central to Bidston also run through this station. A token Virgin Trains service runs via Chester and Crewe to London Euston. Wrexham Central, which is located on the Island Green retail park, is a small terminus station which is the southern terminus of the Wrexham to Bidston in Birkenhead Borderlands Line. Until the 1998 construction of the Island Green retail park, Wrexham Central station was located 50 metres further along the track. Gwersyllt is an unmanned halt which serves the Gwersyllt suburb of Wrexham. It is a stop on the borderlands line between Wrexham General and Bidston. Ruabon is a bus and mainline rail interchange located in South Wrexham. It is the second busiest station in Wrexham after Wrexham General. It is located on the Shrewsbury to Wrexham line between Chirk and Wrexham General. It now only has two through platforms, the former bay platforms long disused. The town centre is approximately 7 minutes away by train and 20 minutes by bus. Trains run hourly in each direction between Wrexham and Shrewsbury. Northbound trains usually continue beyond Wrexham to Chester and Holyhead (connecting with the ferries to Dublin Port) whereas, southbound trains usually continue via Shrewsbury in all cases, and to either Cardiff Central or Birmingham New Street. Most buses are low-floor and with slightly elevated bus stops to allow easy access. A new bus terminal, the largest in north Wales, has been built in Wrexham, with a staffed information booth. The bus station serves local, regional and long-distance bus services. It is served by various bus companies, including Arriva Buses Wales, GHA Coaches and Townlynx. Long-distance coaches are available to Edinburgh via Manchester, Bradford and Leeds and to London via Telford and Birmingham. The Wrexham Shuttle provides a link between Wrexham and the nearby industrial estate. The townlink bus connects the main bus station with Eagles Meadow shopping centre and Border retail park to the east and Wrexham General and Central stations with Plas Coch, Wrexham Central and Island Green shopping centres to the south and west of the town. Wrexham is served by the National Express coach network, which picks up from the Wrexham bus station. Wrexham use the distinctive yellow American Bluebird school buses. Ten currently operate in the Wrexham area, transporting pupils to and from the schools and colleges. The town centre is orbited by a ring road. The northern and eastern parts of the road are dualled between Rhosddu Road roundabout and Eagles Meadow. The A483 is Wrexham's principal route. It skirts the western edge of the town, dividing it from the urban villages to the west. The road has connections with major roads (A55(M53), A5(M54)). The A5156 leads to the A534 and on to the Wrexham Industrial Estate. The A541 road is the main route into Wrexham from Mold and the town's western urban area. It connects to the B5101 road which eventually leads to the A5104 road to the east of Treuddyn in Flintshire. Western Gateway project is a long-term development proposed by the Wrexham council as a third phase of the Wrexham technology park focusing on companies that can help drive the local economy with better paid jobs while focusing on an eco friendly approach from design to construction. Liverpool donated £100,000 to a study of electrification of the Wrexham to Bidston railway line, and a possible rail link to the North Wales coast line. This would open new rail links to the east, and the urban area of Liverpool. The line was put on indefinite hold following a larger than expected cost projection by Network Rail. Chris Bartley – Olympic silver medallist rower. William Davidson Bissett (1893-1971) – Scots-born Victoria Cross winner. Cremated at Pentre Bychan. David Bower – deaf actor who is best known for his role as David, the younger brother of Charles, in the comedy Four Weddings and a Funeral. Stephen Evans (born 1970) – actor, best known for his regular role as Vine in the BBC sci-fi sitcom Hyperdrive (TV series) alongside Miranda Hart & Nick Frost. He also appeared in Nighty Night, Doctors & My Family. Stephen attended Acton Park Primary School. Rosemarie Frankland – beauty pageant contestant who won the 1961 Miss United Kingdom and Miss World. Amy Guy gladiator 'SIREN' on the TV show of the same name. Member of British Team in horse riding. Miss Wales 2004 Miss World Sport 2004. Miss United Kingdom 2005. Tom James – Olympic Gold Medallist Rower. Paul Jones – retired Welsh international footballer. Rob Jones – footballer who played for Liverpool F.C.